However, that was purely a design limitation of that particular RS232 board that I had. 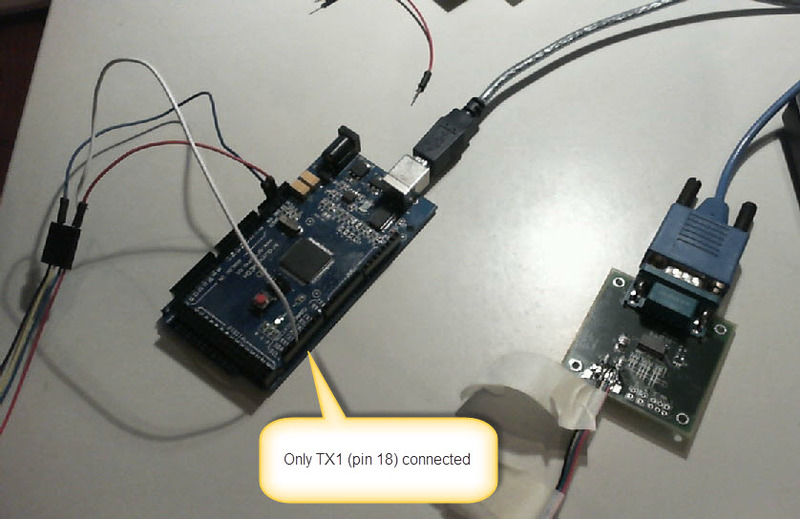 Given that I did not have a voltage level translator, I only connected TX1 pin so Arduino would send, but not receive data. That pin exists only on Arduino Mega boards since that's the only board with more than 1 hardware serial ports. I used a sketch "Examples -> Communications -> MultiSerialMega" from the IDE's set of examples. That code simply echoes anything that it gets on its primary serial port (TX0/RX0 or built in through the USB) to the secondary serial port (TX1/RX1). Next article:Sinclair ZX81 lives on!